At the start of Alex Gibney’s Steve Jobs: The Man In The Machine, the prolific documentarian admits that he approached his latest film—his third released this year—with no small amount of personal bias. Gibney says he feels conflicted about the late Steve Jobs, a man whose leadership of Apple led to products so beautiful and life-changing that his disciples seem willing to overlook his personal faults and unethical business practices. In an effort to correct the narrative, Gibney dives in and rakes the muck, digging up anecdotes that make Jobs look petty and cruel. The Man In The Machine doesn’t discount all that Jobs accomplished, and what his work and public persona have meant to people. But as an expression of the filmmaker’s own sense of guilt over buying into the Apple myth, this picture intends to be a bummer. Narrated by Gibney himself, Steve Jobs: The Man In The Machine begins with the question of why, especially toward the end of his life, Jobs inspired such devotional fervor. 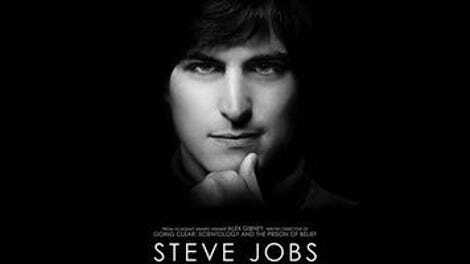 The film traces his career from his early years in the budding Bay Area tech industry, where he and his friend Steve Wozniak forged a partnership based on a combination of true ingenuity and callous shrewdness. The Man In The Machine jumps around the timeline in telling Jobs’ story, but with every piece of the puzzle that it reveals—from the development of the Macintosh personal computer, to an exile from Apple, to Jobs overseeing the company’s resurgence by emphasizing branding and smooth functionality—the movie circles back to the idea that everything great Jobs accomplished came at somebody else’s expense. Gibney lines up ex-employees who have vivid memories of feeling used and abused, and he talks to the industry journalists who pursued scoops about Apple’s shoddy exploitation of Chinese labor. The doc is dogged about making sure everyone recognizes that heroes have flaws. The problem isn’t that Gibney has an agenda, or even that he doesn’t have his facts straight. (Nothing in The Man In The Machine appears to be “wrong,” per se.) As is so often the case with Gibney’s work, the major stumbling block is structure. The movie feels like an info dump, and since so much of that information is intended to bolster an argument, The Man In The Machine’s “and here’s another thing” shapelessness becomes frustrating. Unlike Gibney’s best docs—Enron: The Smartest Guys In The Room, Taxi To The Dark Side, and this year’s Going Clear: Scientology And The Prison Of Belief—the Jobs film lacks a strong, concentrated punch. It feels like it’s wrapping up after about an hour, when there’s still an hour to go. Never let it be said, though, that Gibney doesn’t get the goods footage-wise. 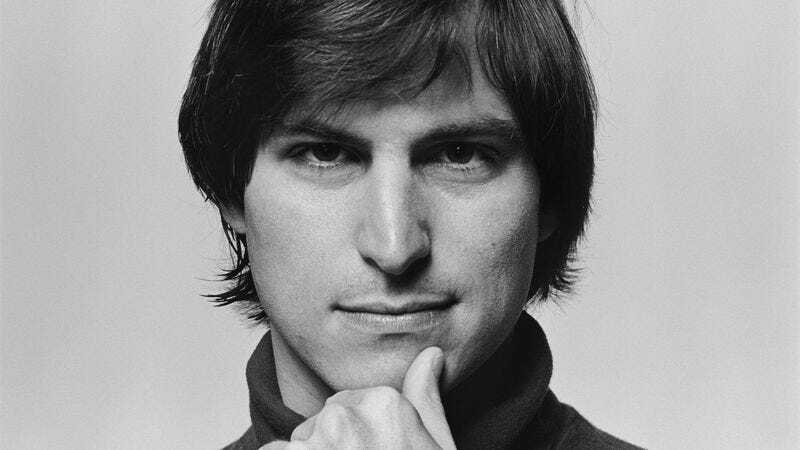 Even Jobs’ fans may suffer through all the darts aimed his way just to get the nostalgic rush of revisiting Silicon Valley’s various eras—from the hippie-futurist 1970s to the proudly nerdy 1980s to the hype-heavy 21st century. (Excerpts from this documentary would make a fine bonus feature on DVD sets of Halt And Catch Fire or Silicon Valley.) The times change so fast these days that people can forget how recent the iPhone revolution actually is, and how important in modern cultural history Jobs’ first public demo of that product was. If nothing else, The Man In The Machine is a useful record of all that. But the real importance of all the old clips is the secondary story they tell—which is one that Gibney never really recognizes. The Man In The Machine is an accidental 40-year compendium of the mainstream media misunderstanding and misreporting important technological developments. One reason Jobs was able to self-mythologize so effectively was that he could dodge the savvy industry reporters and go straight to broadcast outlets that would take what he said at face value. The Man In The Machine is peppered with nightly news segments that range from overly boosterish to overly alarmist, missing the bigger picture while fixating on what seems grabbiest. The worst that can be said about Gibney’s film is that it’s often just as sensationalistic.